I‘m starting a new series called “Monday Photo Inspiration” so we can all kick off our week on the right foot with an inspirational photo. Every Monday I will post a new photo that is meant to inspire you, motivate you, cause you to pause and ponder, remind you of your dreams and hopefully entice you to act on whatever your goals may be. It’s just that simple. So sit back and enjoy the visual show. 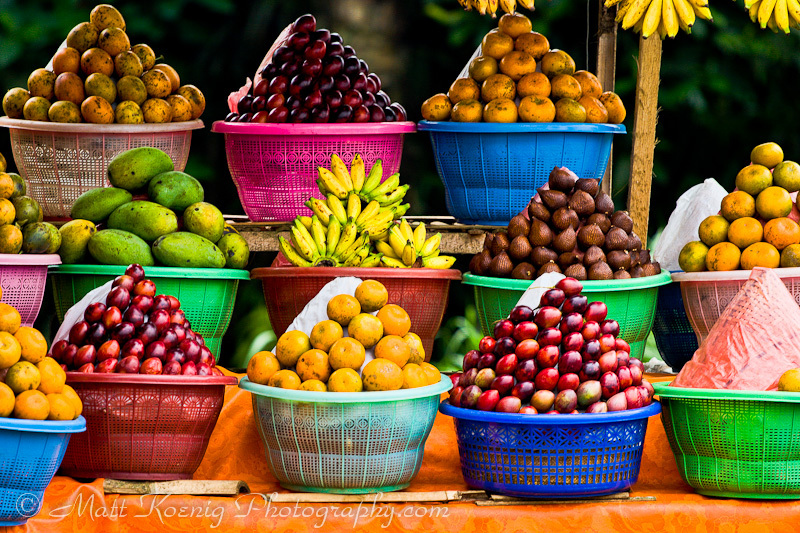 A colorful display of delicious local fruit in Bali Indonesia. This photo was taken at a roadside fruit stand in Bali Indonesia during my last visit to this lush and beautiful island in 2005. I can’t think of a more colorful and “tasteful” way to kick off Monday Photo Inspiration. Canon 20D | ISO 100 | Canon 70-200 f/4L @ 200mm | f/4 | 1/125th sec.